Fashionable flair. You'll shine in this Long Pink Glass Bead Necklace. 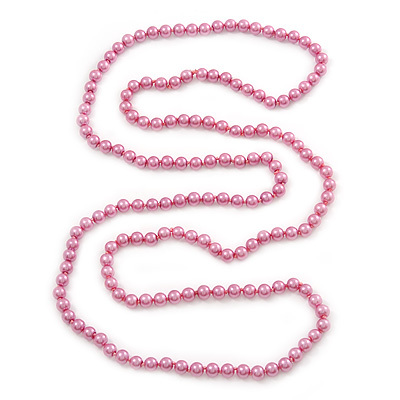 Featuring an extra-long single strand, made of 8mm glass beads in hues of pink, separated with tiny knots, offering a unique style. Necklace approx. 140cm long and an easy-to-wear, no fastening so can be slipped over the head. Also check our store for a matching bracelet BR02907 and earrings E03160.